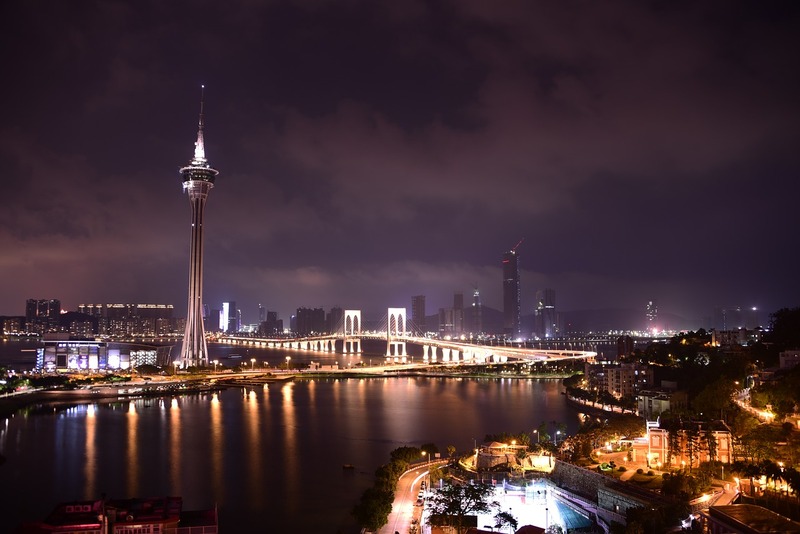 Macau is a Chinese peninsula which has increased dramatically in popularity over recent years thanks to its fame as a major gambling resort. Having recently made a glamorous cameo in a James Bond movie, its tourist industry exploded almost overnight, and now Macau has overtaken Las Vegas in leading the world’s gambling revenue. If you usually gamble online or go to physical casinos in Atlantic City or Las Vegas, you may not know what you should expect from casinos in Macau. There are some major differences between western casino resorts and those in Macau. For a start, you’ll find there are some very different games on offer which aren’t commonly seen in western casinos. You’ll also find that some options that we’re used to in the west are more limited. Bingo terminals, for example, are often seen on gaming floors in the west, but are harder to find in Macau, so if bingo is your thing you might want to read more here about how to find the best bingo sites online on Topratedbingosites.co.uk to keep you satisfied. On the other hand, however, there’ll be some things which are extremely familiar. For example, you’ll see well-known hotel names like the Wynn, the Sands and the Venetian. In this beginner’s guide to enjoying casinos in Macau, you’ll get some ideas and travel tips about how to get the most out of your trip and what you can expect. Accommodation is key to enjoying your gambling trip to Macau. Choose a property that is walking distance from all the big-name casinos so that you won’t have to worry about transport. There are some amazing premium suites at the big gambling resorts like the Venetian and Sands Macau, and while they don’t come cheap, they do offer unparalleled luxury. You’ll also have access to fantastic entertainment and facilities, not to mention the fact that you’ll be steps away from the gaming floor. The biggest question that you’ll need to ask is where you should gamble your hard-earned cash when you arrive in the gambling mecca that is Macau. You’ll have plenty of choices, so it all depends on the experience that you’re hoping to have. The Wynn Macau was the first casino in the Vegas-style to be opened here. While it may be worth seeing for that reason, it isn’t the most spectacular. There are just 200 gaming tables, and the stakes are pretty high. If you’re looking for spectacle, the Venetian should be your first stop. As you might expect if you’ve been to the resort of the same name in Vegas, this casino is incredibly luxurious. Its gaming floor is the largest anywhere in the world, with more than 500 gaming tables to choose from and about 2000 slots. Here, you’ll find classic Chinese games like Sic Bo, although you’ll find the minimum stakes are high. If you’re visiting on a work day, the Venetian is one of the best places to go since there’s always lots of action going on 7 days a week. If you’re more into European-style gambling with the focus on the gaming tables rather than the entertainment, Casino Lisboa should be your first port of call. With around 700 slots and 400 gaming tables, you’ll have a good choice of western and eastern options from blackjack to Pai Gow. Finally, if you’re a keen poker player, you should probably consider going to The City of Dreams. This enormous resort plays host to the Asian Championship Poker tournament each year, and if you’re keen to meet famous poker players, this is where you’ll find them. Even out of tournament season you’ll find lots of semi-professional players here, so you’ll get some decent competition at the poker table. If you’re new to gambling in Macau, you’ll need to know the rules which have to be followed. Here are some of the guidelines which are in place in the casinos of Macau. Gambling age – legally, foreigners are permitted to gamble in Macau’s casinos when they are aged 18 or over. However, Macau residents have to be aged over 21. You will only be able to use a Hong Kong ID card or passport as identification. Legal items – when heading into a casino you’ll usually have to check in your luggage, laptop and camera at the cloakroom. Dress code – this varies between establishments. Some are stricter than others, but in general, you should avoid wearing sleeveless tops, shorts and flip flops whether you’re male or female. If you’re planning on entering the high roller rooms, you’ll have even stricter dress codes to follow. Legal tender – although the local currency is the Macau Pataca, in the casinos only the Hong Kong Dollar is accepted as legal tender. Alcohol – while Vegas has a reputation of being Sin City, everything doesn’t go in Macau. If you’re visibly intoxicated, it’s likely the security staff will evict you from the gaming floor. Smoking – while most casinos are officially non-smoking, many customers ignore this and light up anyway. They are very rarely stopped from doing so. Shuttle buses – if you need to use a shuttle bus to get to different hotels and resorts, you’ll have to have proof. A casino receipt or evidence of your casino hotel room will be required if you want to hop on one of these buses.